A wander West out of Oxfordshire and onto the quiet backroads of East Wiltshire ending up in Malmesbury for lunch. The return is in similar style, partially along the Wiltshire Cycleway, through Purton and back to the start via Highworth. 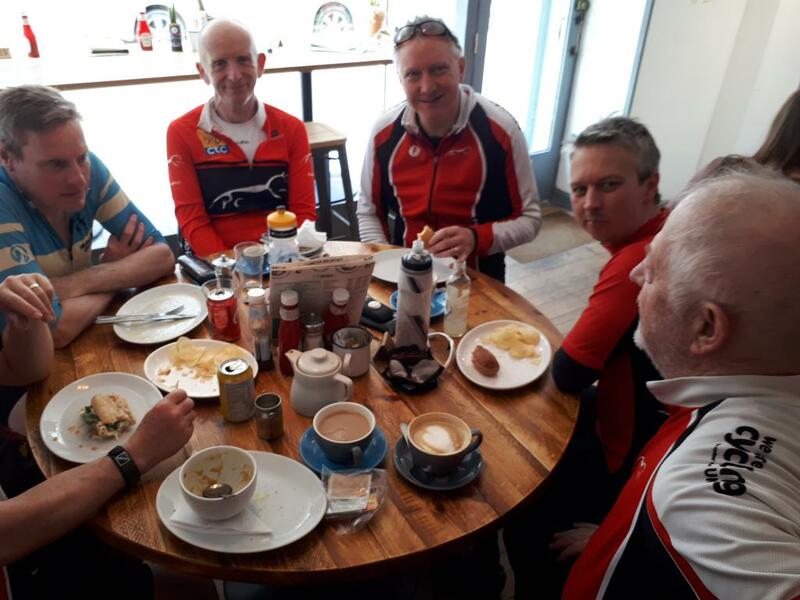 This is a pretty flat ride with only three (I think) noteworthy climbs at Wroughton, Purton and Highworth - and one particular descent (Clyffe Pypard) where caution is needed. Possible early coffee stop at Chiseldon may be appreciated if it's a cold start! I would be grateful if you could let me know if you intend to ride this one, but don't let that stop anyone turning up on the day! Lovely sunny day for a ride, with a slight West wind to help us on the ride back and lots of birdlife on display! 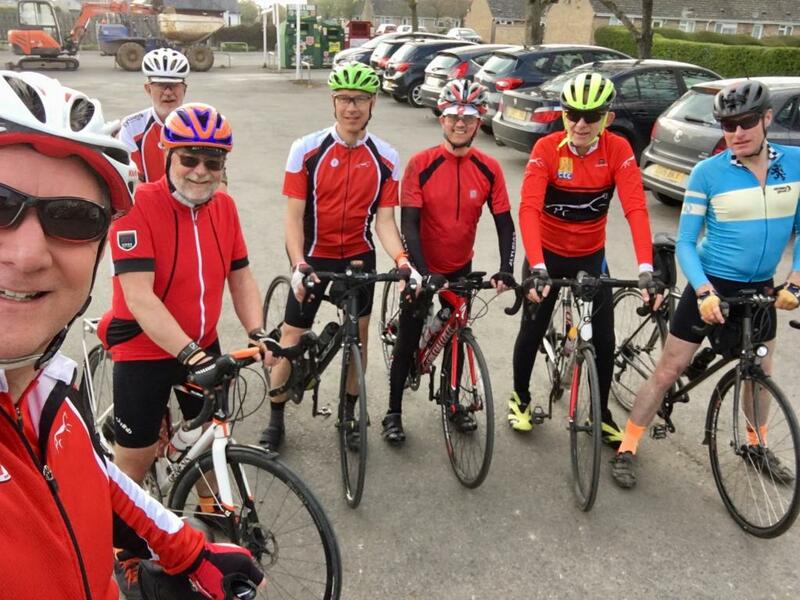 We eschewed the early coffee stop at Chiseldon and pushed on to Wroughton and up the long climb to the Science Museum hangar at top of the ridge to re-group. Clyffe Pypard claimed another victim on the descent but happily Phil escaped with a grazed elbow! (I'm beginning to think this hill is jinxed). 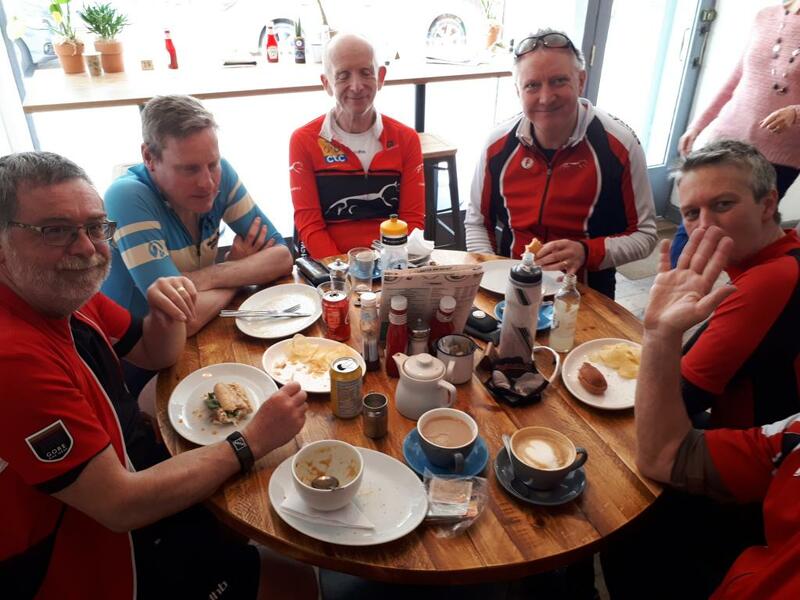 After that it was an uneventful ride along quiet lanes to Malmesbury where a 7 seat table was rapidly located at the newly-extended Summer Cafe. Despite the staff's warning the service seemed quicki and we were soon back on our bikes. The return ride was marred only by a clutch of idiot close-passing motorists on the outskirts of the Swindon metropolis, but fortunately nobody was injured, and we were back at Shrivenham much earlier than I had expected (at 1430). Thank you to everyone for your company and conversation - very enjoyable. And I don't think I picked up a speeding ticket ! Thanks Nick, great route and even better weather!